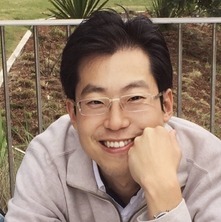 SangHyung Ahn is Lecturer in the School of Civil Engineering. SangHyung Ahn joined UQ in 2015 as postdoctoral research fellow and started working as Lecturer in 2017 after pursuing his PhD research in Civil Engineering (Construction Engineering and Management) at Purdue University in USA. Prior to joining Purdue, he worked as an assistant manager at Hyundai Engineering and Construction Co., Ltd. (ranked as world’s top 15 international contractor in Engineering News-Record 2015) from 2003 to 2007. He also holds his MBA (international business) from Hanyang University in South Korea and his B.Sc (Civil Engineering) from Korea University in South Korea. Dr. Ahn’s research focus encompasses construction process modelling with virtual reality, decision support systems for construction, automation of data-driven simulation modelling, sensor-based operations analysis, and construction management systems with Building Information Modelling (BIM). He is currently coordinating and delivering undergraduate courses, Introduction to Project Management (CIVL3510) and Construction Engineering Management (CIVL4522) offered in the School of Civil Engineering at UQ. Kim, Jiwon, Zheng, Kai, Corcoran, Jonathan, Ahn, Sanghyung and Papmanolis, Marty (2017). Trajectory Flow Map: Graph-based approach to analyse temporal evolution of aggregated traffic flows in large-scale urban networks. In: TRB 96th Annual Meeting Compendium of Papers. Transportation Research Board 96th Annual Meeting, Washington DC United States, (). December 2016.